Alessandra burst into the supervisor’s office, bursting with excitement. It was her first day back at work after everything that had happened. Betty looked up from her computer monitor, peering at Alessandra over the top of her reading glasses. “You’ll never guess who I’ve met.” Alessandra came to perch on the corner of Betty’s desk, nudging a stack of official-looking papers aside with her hip, anticipating Betty’s response. She enjoyed seeing Betty’s eyes widen, hearing her audible gasp. Alessandra just smiled and nodded. Alessandra paused for effect, grinning at the growing anticipation on her boss’ face. A thought struck her, and she pondered. Julian’s face arose in her mind’s eye, the clear pleasure on his face when he’d learned that she worked at one of the shelters that had received donations from the fund he’d set up. He would never ask, she thought, to visit the shelter to see for himself. He’d be well aware of the security and anonymity they required. But she would bet her bottom dollar he would love to actually see for himself the difference his Foundation had made for some. Betty sank back into her chair, staring at Alessandra. Alessandra tucked that away in the back of her mind to ponder. She’d ask Julian about it later. It seemed impossible that journalists, as persistent as they were annoying, would not have gotten some shots of him. A person as wealthy and reclusive as Julian DiConti would draw paparazzi attention like bees to honey. Maybe it was something to do with the Djinn magic. Certainly one could not live for so many hundreds of years and leave a record, something by which one could be recognized, especially now with photography. How embarrassing to have a photograph of one resurface half a century later and you haven’t changed by a whisker. Betty’s mind was already darting ahead. “Yes,” Betty admitted. “But, at the same time… Mr. DiConti is such a huge contributor. More than half a million dollars, just to us! It seems almost rude not to do everything we can to welcome him. “Except that he’s worth a lot of money.” Alessandra laughed, but inside she cringed. Billionaire? Of course, six hundred years was plenty of time for financial planning, but still… It was almost impossible to comprehend. Billions of dollars? And he was living in a little glass bottle on her dresser! It would have been funny, if it weren’t so sad. Alessandra’s heart ached for Julian. If only there were something she could do for him, some way that she could release him from the spell so that he could really live, could have a real life. 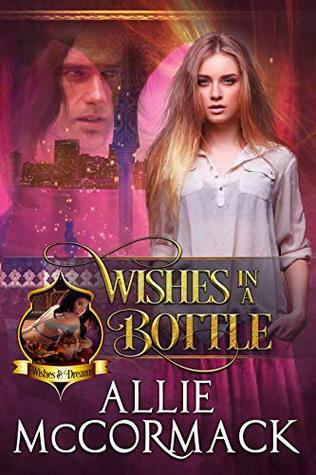 She would gladly give all three of her wishes… well, the two she had left… but she would have given all of them to free him. That spell seemed more like a curse to her. Julian was so desperately unhappy. He never said so, but she could see it in his dark azure eyes, the brooding sadness that never quite left, that lurked behind the charming smile. So many times she had caught the quiet lapses, when he retreated inside himself when he thought she was unaware. It seemed an awful punishment, no matter what he had done. She just wished she could find a way to help him. A career medical transcriptionist, Allie McCormack is now writing from home full-time. Allie has traveled quite a bit and lived many places all over the U.S., and also a year in Cairo, Egypt as an exchange student, and a year in Riyadh, Saudi Arabia under contract to a hospital there, plus a short stint with NATO while she was in the Army. As a single mom, she raised a wonderful daughter who's recently married and there are plans afoot for grandchildren. A disabled veteran, Allie now lives in the beautiful Sorona Desert in southern Arizona with her two rescue cats and writes full-time. 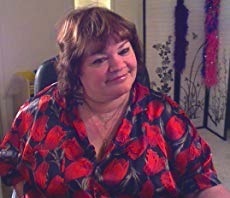 Allie says: "A writer is who and what I am... a romance writer. I write what I know, and what I know is romance. Dozens of story lines and literally hundreds of characters live and breathe within the not-so-narrow confines of my imagination, and it is my joy and privilege to bring them to life, to share them with others by writing their stories."